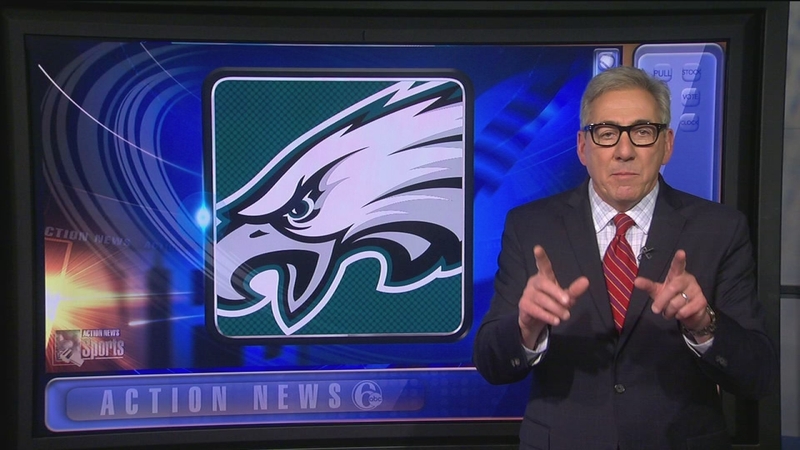 PHILADELPHIA (WPVI) -- So just who will the Philadelphia Eagles select when they are on the clock Thursday night? The Eagles have the 14th pick in the 1st Round. Unlike last year when Carson Wentz was all but a given to become an Eagle, there are countless opinions on who the Birds will draft this time. Former Eagles quarterback Donovan McNabb thinks the team should go with a defensive player. Donovan McNabb makes his prediction. "I think they should go with defense. I think they need a playmaker. They need someone who can create turnovers for them, if it's from a pass rush standpoint or defensive back standpoint, or even a linebacker, they need somebody that can come in and provide a spark for them on the defensive end," McNabb said. McNabb points out he had a good defense when he was drafted by the Eagles in 1999. ESPN draft insider Todd McShay has the Eagles selecting WR Mike Williams out of Clemson in his mock draft. Clemson wide receiver Mike Williams runs a drill at the NFL football scouting combine Saturday, March 4, 2017, in Indianapolis. Fellow ESPN draft insider Mel Kiper says the Eagles will choose LB Charles Harris from Missouri. Missouri defensive end Charles Harris competes during a drill at the 2017 NFL football scouting combine Sunday, March 5, 2017, in Indianapolis. ESPN NFL analyst Louis Riddick thinks the Eagles will go with RB Dalvin Cook from Florida State. Florida State running back Dalvin Cook makes a catch as he runs a drill at the NFL football scouting combine in Indianapolis, Friday, March 3, 2017. ESPN's NFL Nation would have the Eagles select WR John Ross from Washington. Washington wide receiver John Ross watches during a drill at the NFL football scouting combine Saturday, March 4, 2017, in Indianapolis. 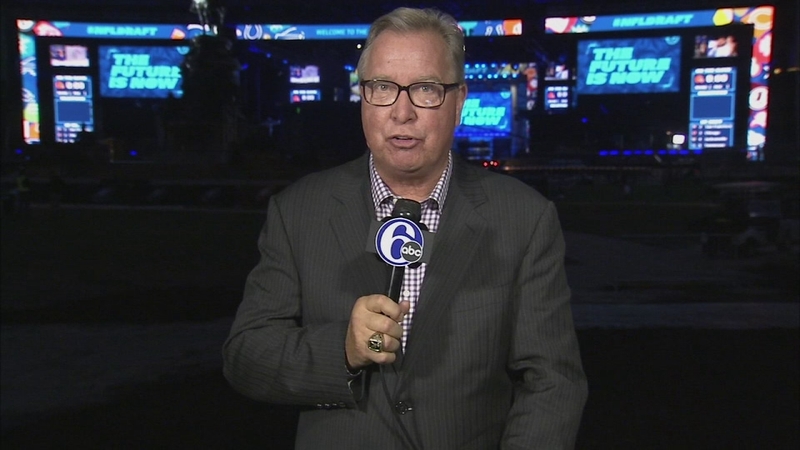 ESPN analyst and former Eagles quarterback Ron Jaworski is hoping the Eagles go with RB Christian McCaffrey out of Stanford. Stanford running back Christian McCaffrey runs a drill at the NFL football scouting combine in Indianapolis, Friday, March 3, 2017. ESPN's Sal Paolantonio says if McCaffrey is gone, the Eagles need to focus on Dalvin Cook. Paolantonio tells Action News the Eagles have interest in WR Corey Davis from Western Michigan. Jaws agrees he would be a smart choice. Western Michigan wide receiver Corey Davis sits on the bench during the second half of the Mid-American Conference championship NCAA college football game against Ohio. Meantime, AP's Barry Wilner has the Eagles picking DE Derek Barnett of Tennessee in his mock draft. Tennessee defensive end Derek Barnett runs a drill at the NFL football scouting combine Sunday, March 5, 2017, in Indianapolis. 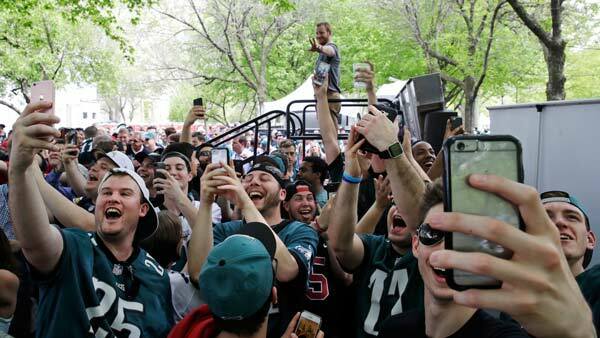 For complete NFL Draft coverage, visit 6abc.com/NFLDraft.